I have tried drinking smoothies on and off for years. I’ve done the green smoothie thing (here’s my fave recipe) and have another favorite strawberry smoothie that tastes like a milkshake. But, I’ve always wanted to be that girl that drinks a healthy, yummy, daily smoothie. Every day. And now I am! Or, at least I am trying to be :). 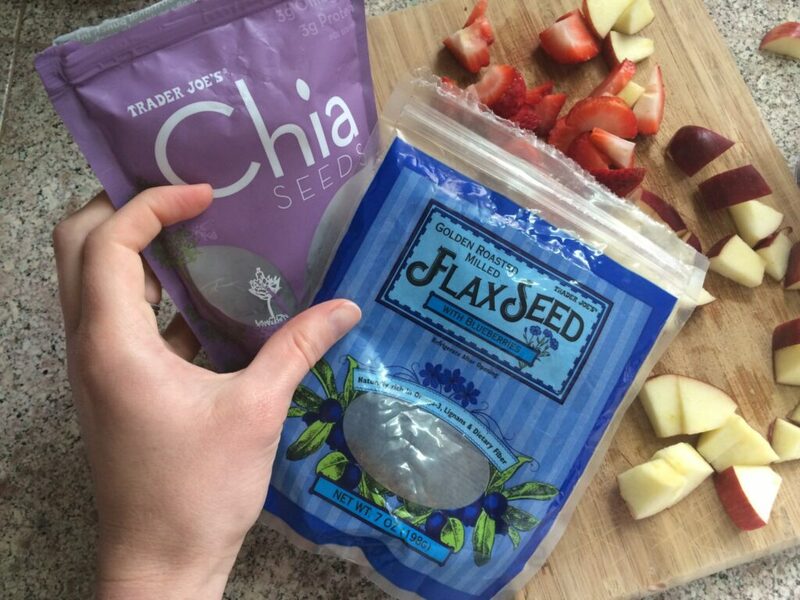 I have been drinking this smoothie every day now for about 3 months and love it. 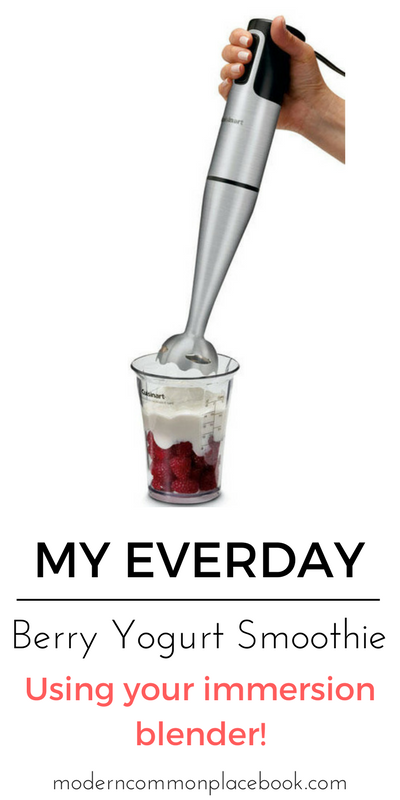 I drink it for lunch (sometimes with another little snack if I need more) and it is one of my favorite meals right now. In the past, the bane of the smoothie was using the blender. 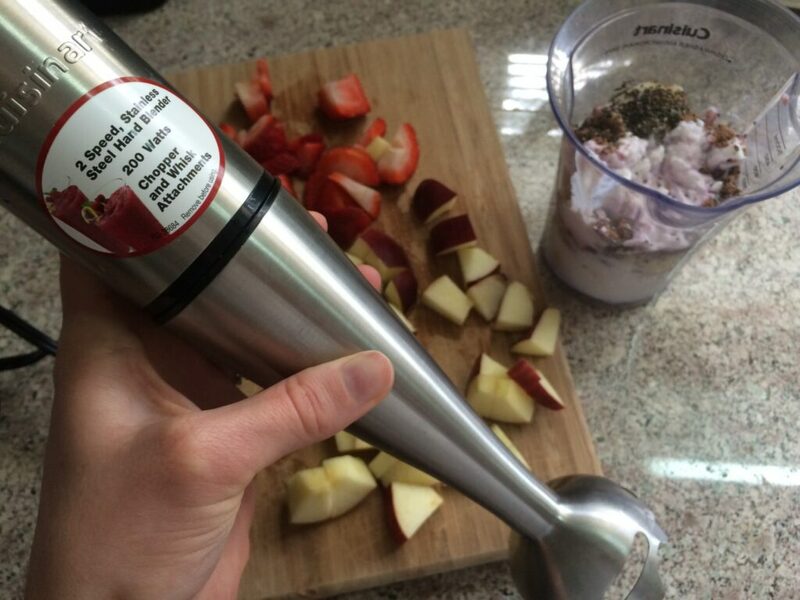 It was so much work to use it and clean it, that my attempts to make smoothies never lasted. So, I needed a new idea. I thought about using a Magic Bullet, but couldn’t justify the cost. So, I decided I would try a hand-held immersion blender. This would be a tool I could use in multiple ways in the kitchen – and is a little less expensive at $33.99. I have gotten the entire process down to under 5 minutes. My smoothie is high in protein and fiber – and is YUMMY. 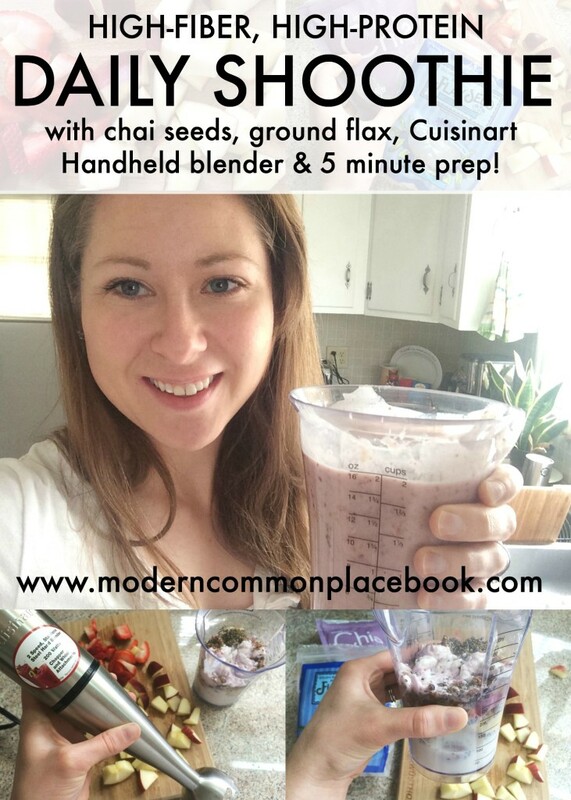 It is a twist on a white smoothie and I love the nuttiness of it with the almonds and seeds. I have tried using frozen fruit and ice, but the blender doesn’t do so well. So, I just like sticking with the simple fruit. And, the smoothie is still cold! Add the banana, yogurt, milk, almonds, flax and chia seeds to a 2 cup container (I use the Cuisinart cup that came with my blender). 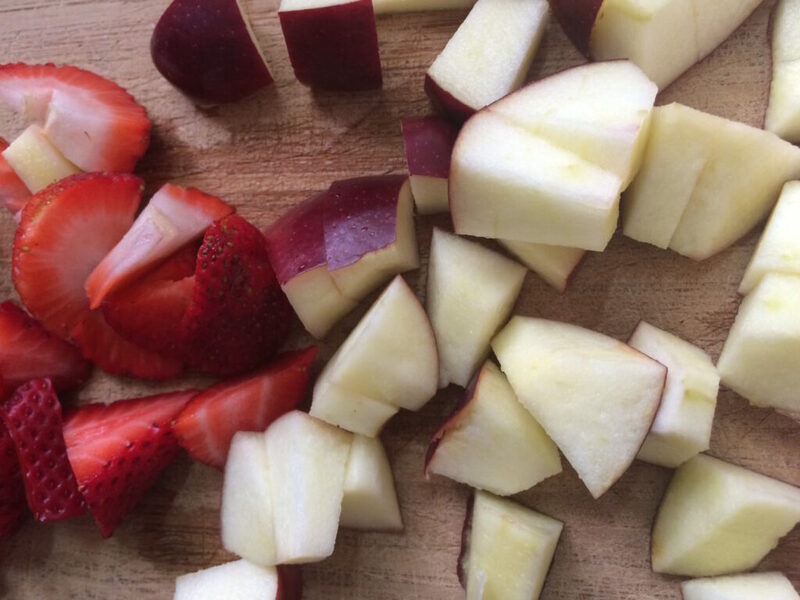 Add in the apple and strawberries in stages until all is blended. « Happy 2nd Birthday to A Modern Commonplace Book!